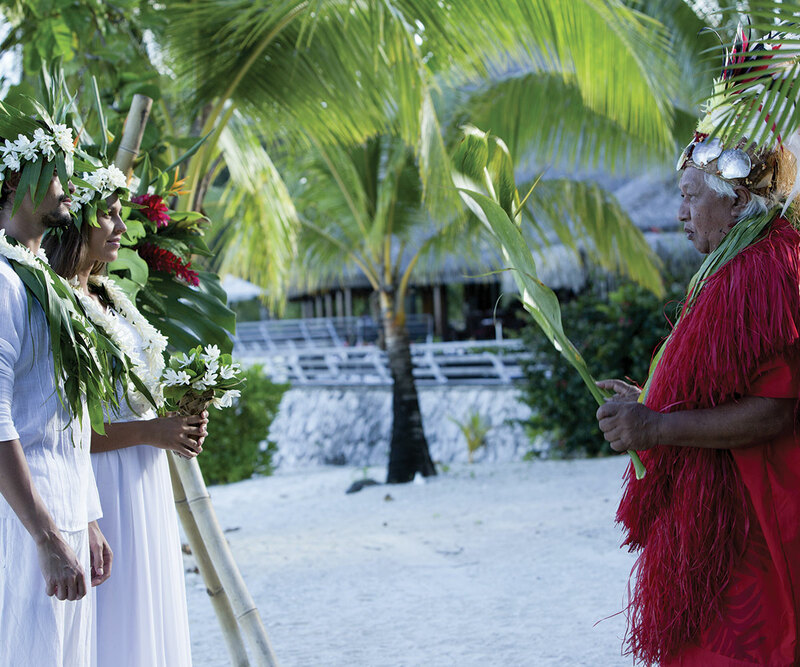 Weddings in the islands of Tahiti are now legally binding for all nationals. Many of the hotel, resort and cruise line partners are eager to cater to this new opportunity. 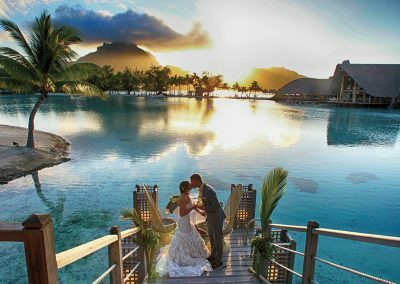 Couples who wish to be legally married in the islands of Tahiti can now have a memorable and meaningful wedding in one of the most beautiful, romantic places on Earth! 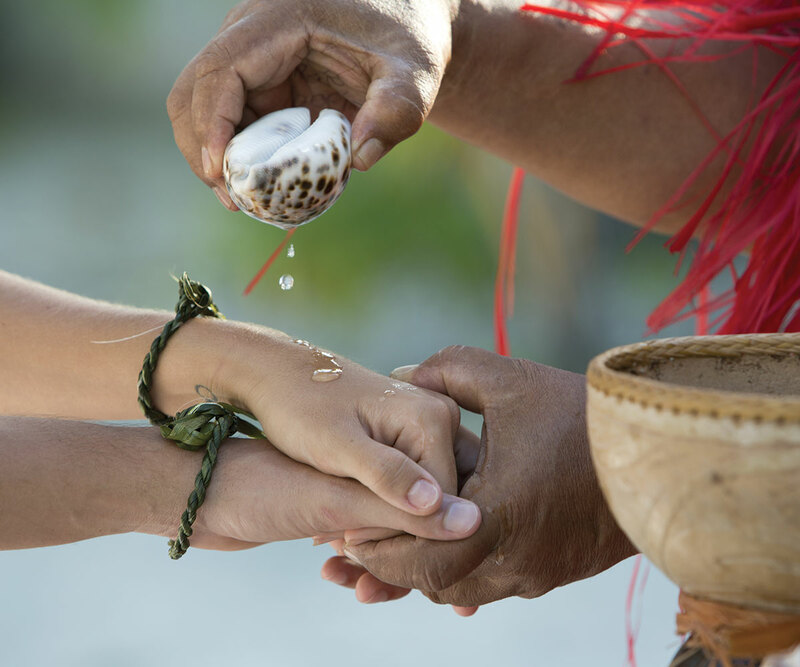 We have outlined the necessary steps and documents required in order to have a legal ceremony in French Polynesia. Please note that this process will take approximately three to five months to complete. So, be sure and plan ahead! 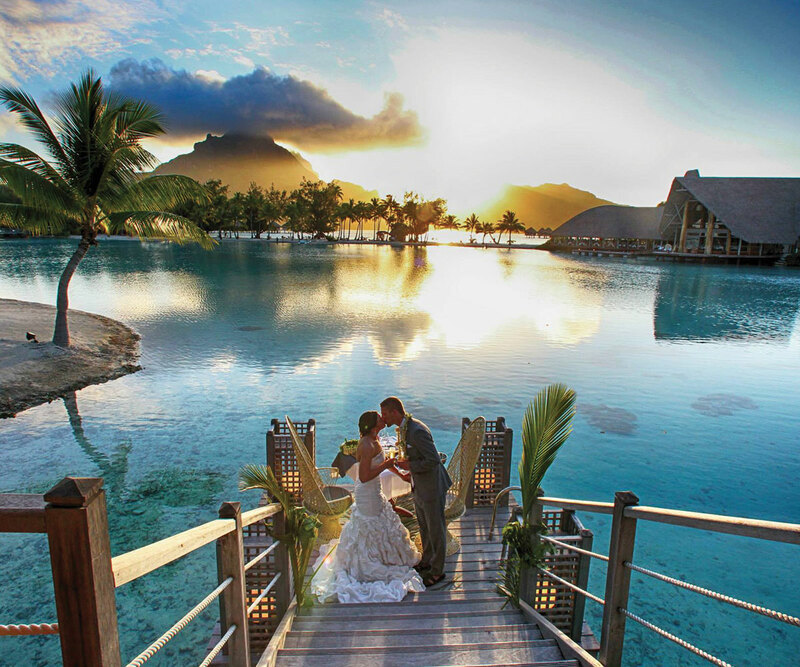 No minimum amount of time is required to spend in French Polynesia before legally wedding. You can get married on the first day you arrive! 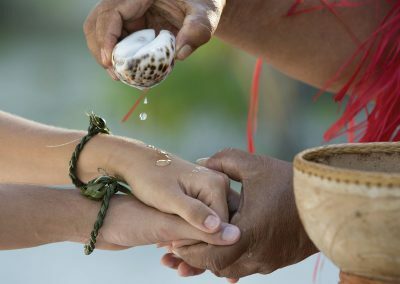 (Please note that the conditions for French nationals to wed in Tahiti are different). We advise first contacting the Town Hall of the island where you would like to get married, in order to confirm the chosen wedding date and time. Both spouses must be at least 18 years old. Neither spouse can be currently married. The couple cannot be related by direct lineage. The bride and the groom must each choose a witness who must be 18 years of age or older (if the chosen witness is not present, the mayor’s office can provide a witness). The “Marriage of Foreign Citizens in French Polynesia” application must be completed. A letter signed and dated by both future spouses, addressed to the mayor of the commune chosen for the marriage ceremony. A certified copy of both spouses’ birth certificates authenticated with an “Apostille” (note: the birth certificates must have been issued less than 6 months prior to the date of the marriage). Both of the birth certificates and the “Apostille” must be translated into French by an approved translator and legalized by the French Consulate. Translators can be found on the consulate’s website. A “Certificate of Non-Marital Status” (“Certificat de Celibat”) signed by a lawyer, translated into French and legalized by the French Consulate. Lawyers can be found on the consulate’s website. Proof of residency for both of the future spouses (a utility bill or any bill noting names and physical address will suffice). A photocopy of bills for both spouses is acceptable. Optional, if a prenuptial agreement has been created, it must be translated into French and authenticated by the French Consulate. Expedite all materials to the mayor’s office of the commune in which the couple is getting married at least 55 days prior to the ceremony. All materials must arrive at the Town Hall 45 days prior to the wedding date. On the day of the ceremony the couple, their guests and the witnesses go to the city hall (Mairie). The mayor (or an appointed representative from the mayor’s office) will perform the ceremony, in the presence of at least two witnesses. The ceremony will be performed in French and translated by an interpreter (to be provided either by the hotel or the Town Hall). After the ceremony, the mayor will give the couple a Marriage Certificate. This certificate will be dated and signed by the mayor’s office of the commune in which the marriage takes place. Will my Legal Wedding in Tahiti be recognized back home? Dependent upon the diplomatic relationships between your country of origin and France, your Marriage Certificate delivered by a French official in the Islands of Tahiti may either be exempted from legalization of any sort, and be recognized legal in your own country, or need an Apostille (a stamp authenticating your documents for international use) which is very simply accomplished at the Court in Papeete. In a few cases, a legalization procedure will be required for your marriage to be deemed legal in your country. 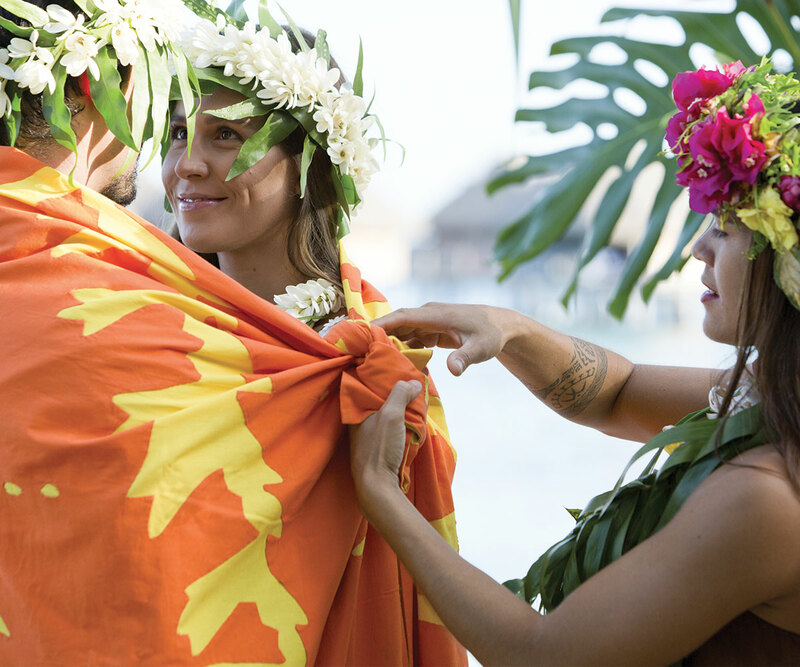 Most of our visitors to the Islands of Tahiti are eligible for the exemption status or have their Marriage Certificate stamped with an Apostille to present to their local authorities back home.